If you consume food and restaurant news with any regularity, then you’ve probably encountered the phrase “new Nordic movement” a dozen times over the past few years. The “movement,” which is most famously rooted in Copenhagen at Chef René Redzepi’s Noma, has made its way to the burgeoning borough of Brooklyn where Aska’s Chef Fredrik Berselius is leading the charge. For our final dinner in the big city, The Astronomer and I joined my brother and his friends at this modern Scandinavian restaurant. Located within Kinfolk Studios in Williamsburg, Aska is a pop-up of sorts serving dinner seven days a week and offering a reservations-only 6-course tasting menu ($65) Sunday through Thursday. 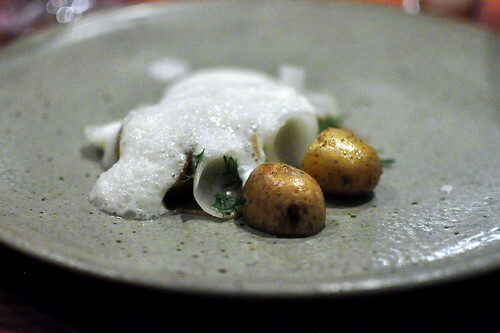 Previously, Chef Berselius spent time in the kitchens of Corton, Seäsonal, and Freja, a similarly spirited pop-up. 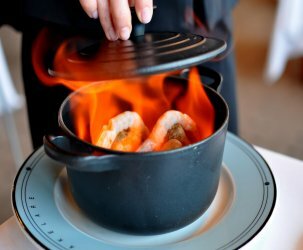 Aska, by the way, is Swedish for “growth from the ashes,” according to the restaurant’s website. Dinner began with bread service. 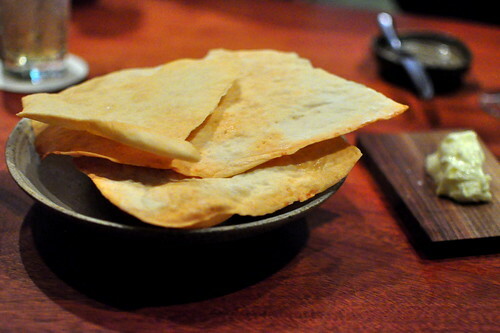 This evening’s selection consisted of thin and crisp crackers served with a mild and creamy spread. There were also warm caraway rolls with soft crusts and delicate innards. 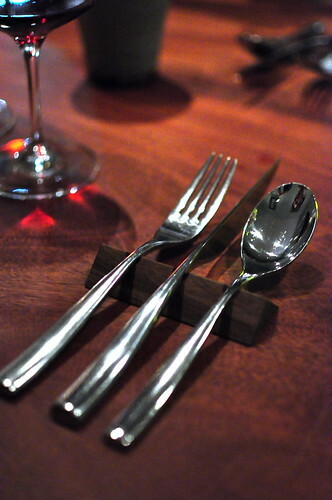 Following the breads were two small bites delivered via a wooden plank that spanned the length of the table. 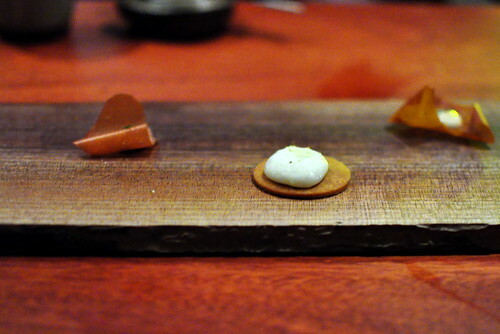 While the contents of the curled wafer (left) has since slipped my mind, its accompanying nibble (center) was a savory shortbread topped with cheese and juniper. 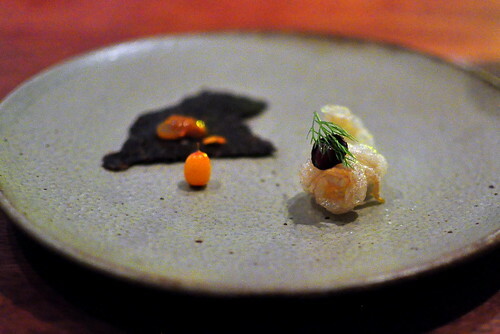 The first plated course consisted of three elements: a dried pig’s blood cracker dotted with sea buckthorn jam, a fresh sea buckthorn, and a dill-garnished pork rind. While each component was interesting and tasted swell enough, nothing on the plate was worth pumping one’s fist for. 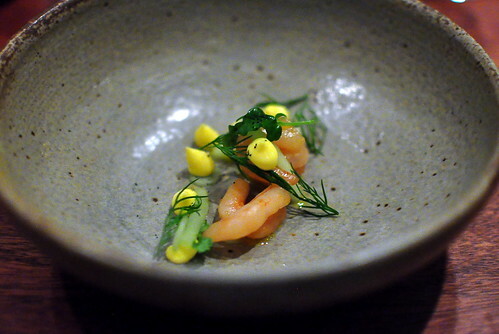 Next to arrive was a dish of smoked and cured shrimp prettied with cucumber, dill, and rapeseed oil. The flavors were lovely here, but the shrimp were too shriveled to really sink one’s teeth into, if you know what I mean. A vegetable course followed next. 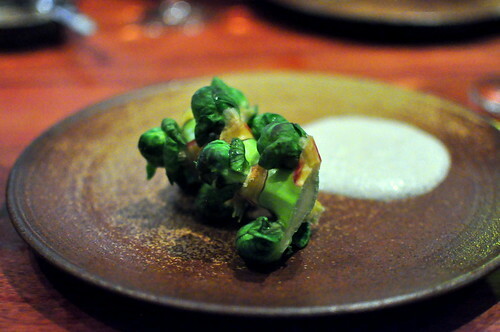 A branch of gently steamed Brussels sprouts was served in tandem with a creamy anchovy- and allspice-laced sauce. We were instructed to eat this one with our hands, dipping each head in the sauce before going in for a bite. 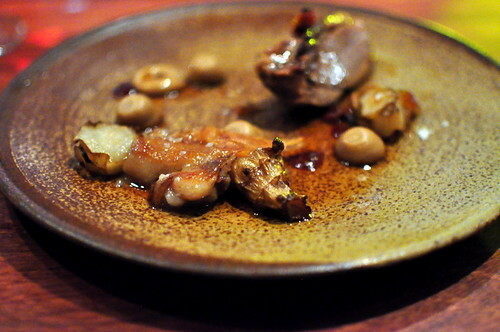 While this dish was certainly virtuous, it didn’t do much to woo us flavor-wise. Things started to get good (and warm) when these potatoes came onto the scene. 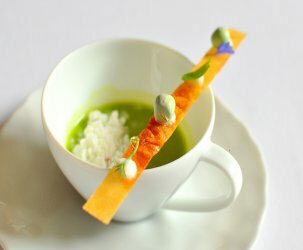 Served with onions and mackerel, the entire dish was accented with a warm milk foam tableside. 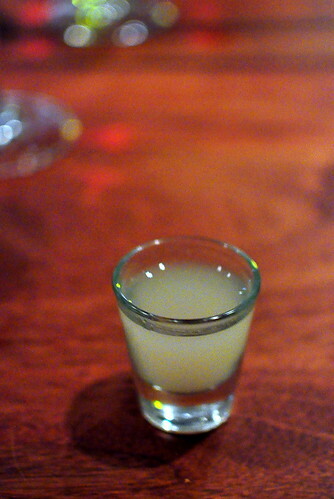 Served in tandem with the potatoes was a shot of milk punch made with aquavit. A steak of squid accented with turnips and purslane followed next. 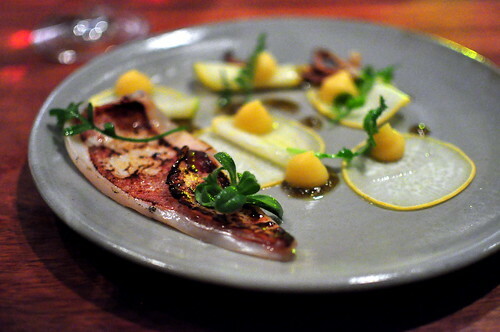 While the squid impressed me with its supple tenderness, the vegetable co-stars didn’t shine as brightly. 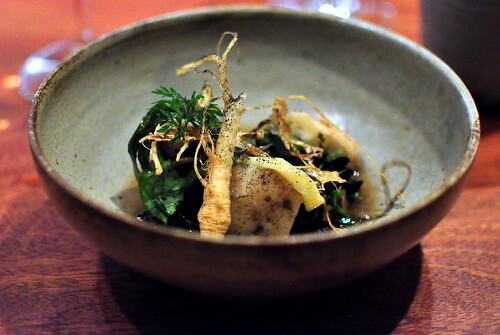 The most challenging dish of the lineup was the salsify served with celery root and wild greens in a lichen broth. Even though New York Times restaurant critic Pete Wells wasn’t too far off when he suggested that lichen was “best saved for cases of starvation,” it must be noted that I appreciated this bitter and fibrous bowlful since I hadn’t been eating the healthiest fare while on vacation. Our tasting wrapped up with a bang. The pork shank and tendons served with apples and sunchokes was a hearty treat after a series of vegetable-centric offerings. Not everyone at the table was fond of the tendons, but I found them to be most excellent. 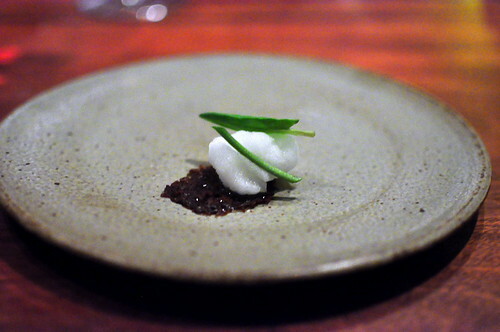 A whey sorbet paired with sorrel and an oat chip transitioned our palates from savory to sweet. 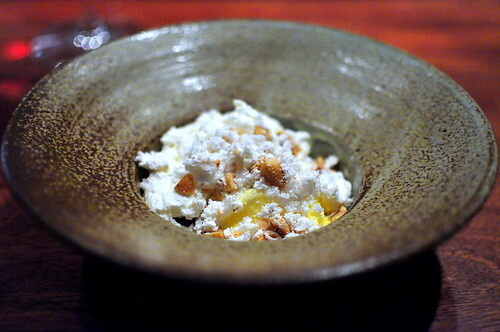 The final course was a total knockout—cardamom ice cream with brown butter mousse and hazelnuts. Big. Fat. YES. 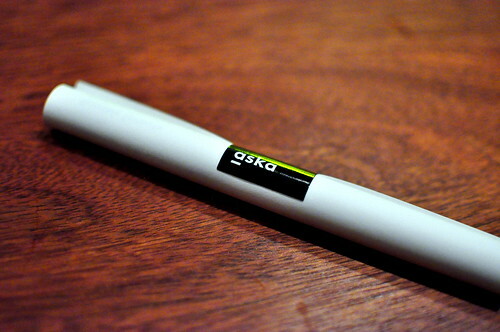 Prior to dining at Aska, my experience with Scandinavian cuisine consisted of homemade gravlax and Smørrebrød, and of course, Ikea meatballs. 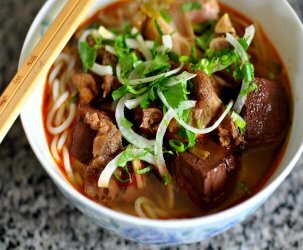 While my dinner here didn’t leave me gushing, I genuinely appreciated being introduced to new ingredients and food philosophies. 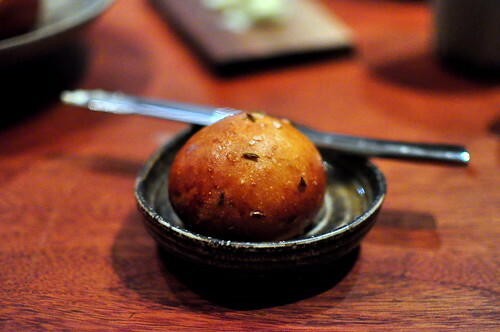 I also liked that I didn’t feel like an Ikea meatball after consuming nearly a dozen courses. It will be interesting to see what kind of traction new Nordic cuisine will gain in the states.